During one of our weekly #2ndaryELA Twitter chats, we focused on strategies for teaching students who are English Language Learners as well as students who are on an Individualized Education Plan (IEP). Teachers shared their best ideas and resources for making their lessons successful for all learners. Read the recap to gain ideas you can use in your classroom. Q1: How are ESL and IEP students integrated in your school? 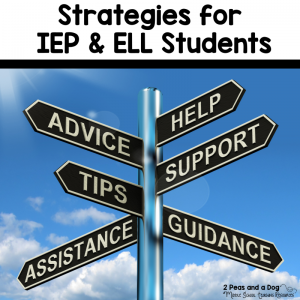 A1: ELL students and students with IEPs are all put into the regular classroom with consultative support from the Special Education or ESL teacher. If the student has very high needs they may qualify for some pull out instruction (1-2 times per week). A1: Ss with special needs are in regular classes all day everyday. ESL Ss have sheltered ELA classes, but are in all other reg. classes. A1: Our students are mainstreamed into co-taught classrooms. A1: I wish we had co-taught classes. Too many Ss I guess. My Middle School has 2100 Ss. A1: It’s called an inclusion model, but beyond being grouped together in a class, I’m not sure I’m doing it right/it’s working. Any advice is welcome. A1: No ESL. 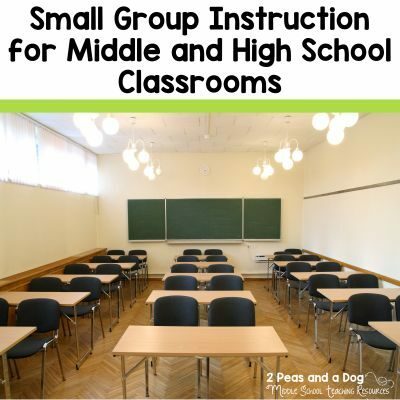 IEP students are included in the regular classroom as much as possible. Limited pull out. A1. We have co-taught inclusion classes and study skills classes for EC students and support staff for ELL students. Students are taught in regular classes with support. 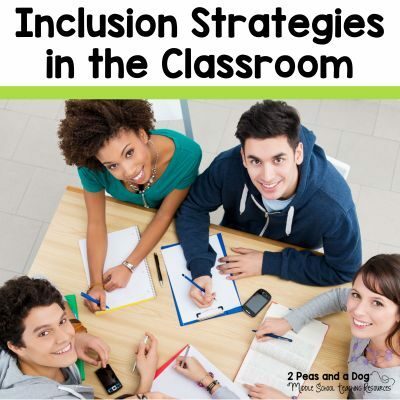 A1: Inclusion with a co-teacher. Q2: How does your school communicate a student’s possible needs? Or do you do a needs assessment on your own? A2: Students with needs have an IEP that is co-developed between classroom teachers and the special education teacher. ELL students are assessed using the STEP (Steps to English Proficiency) Assessment which is completed by the classroom teacher with ESL teacher support if needed. When students arrive in my classroom, I gather baseline data on their strengths and next steps to help guide my instruction. A2: Needs are on the IEP for Ss with special needs. ESL Ss are different – They take the WIDA. A2: Liaisons & ELL coordinator communicate the most. I survey families at the beginning of the year & Ss throughout the year. A2: After IEP meetings, teachers are given modifications to use. Usually, this comes through email. A2: We do not have ESL teachers. I am the ESL teacher as an ELA teacher. A2: We have needs assessments that we do on our own. 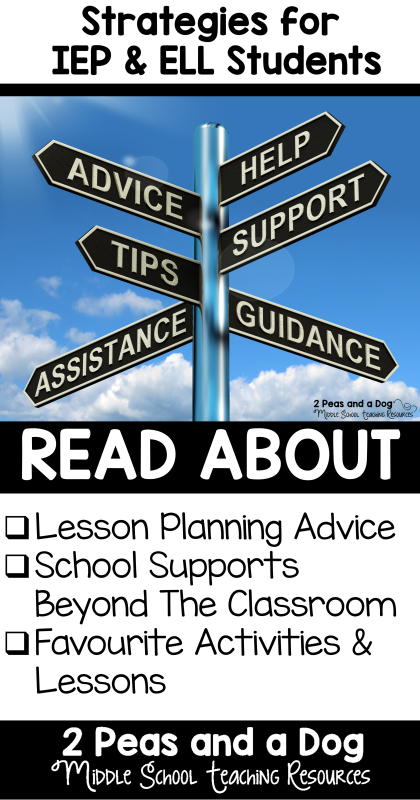 We work with guidance counselors, EC teachers and parents to provide support and ensure that proper strategies are targeting needs. Q3: What have been your biggest challenges with creating successful lessons for all students? A3: Finding grade and age level appropriate content that meets the needs of my learners. They all want to look like they are doing the same work as everyone else. Choice boards or choice on assignments helps because not everyone is doing the same task so no one feels left out. A3: Finding ways to differentiate that are truly helpful and not just a band-aid. A3: I am teaching my non-English speakers to write a text-based essay as our state writing test is March 6th…So I have been using a “fill in the blank” essay format. A3: Time constraints are the biggest issue for me. A3: Sometimes motivation is the challenge. Too often students with IEPs are used to being spoon fed. A3: Also true for ELL Ss at my school. A3: That is sad because they are being held back by spoon feeding them. They just need scaffolding. I have seen it happen in the past too. A3: I get so tired of hearing “I can’t” when I know the student hasn’t even tried. A3: Scaffolding is a wonderful tool if the Ss knows what you’re talking about in the first place- so hard with ELLs! Q4: What extra support does your school provide for students beyond what you have in the classroom? A4: Consulting with the Special Education or ESL teacher if they are available. Most of the support comes from the classroom teacher. A4: I get a Portuguese speaking paraprofessional about 3 times per week. And one Special Needs facilitator that works with two specific Ss. A4: We have built in study time during the day. Teachers are available for students to work one-on-one if needed or students can work with peers. A4: We offer book talks and lots of tutoring. Our study skills classes enriching class material. Our EC co-teachers are also certified in the subject area they serve students in. It is helpful because that means there are two subject area teachers in the room. A4: Speaking from experience again – individual teachers’ understanding help in the classroom are so valuable for ESL students! 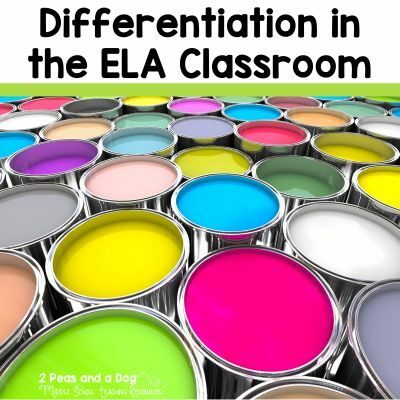 Q5: What’s the best activity, project, or method of differentiation you’ve found works with your ESL or IEP students? A5: I try to pair up my ELL students with students who speak the same first language so they can work together in either English or their first language to complete the task. A5: ELL’s need patience and for work broken down in very small pieces. Hard when they speak very little English. I was always tempted to speak to mine in Spanish. A5: I really like bingo type projects where the students choose how they will show learning. They choose 3 activities in a row, diagonal or horizontal line. That way they pick. A5: Definitely love Bingo! My Ss asked if they could give ideas for writing bingo, so I created a Google form for them to submit ideas. I’m working on getting it together for them! A5: My classroom is built around independent reading. Students are allowed to self-select, so they are able to read based on levels and interests. A5: I often would “trade” with them. They would teach me a little Spanish, and then I would teach them the same in English. They liked to teach me. It broke through some barriers.